This market is more than 100 years old. But it got abandoned many years ago when streets where built. 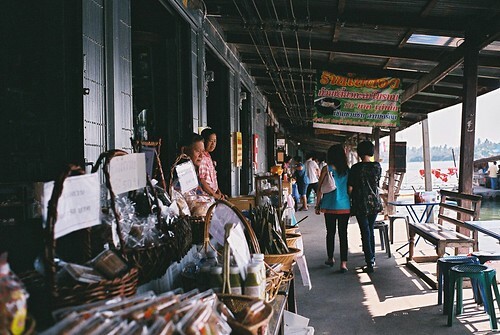 However, there is a very famous floating market in Bangkok, and so members of the local community got the idea that they could also revive their floating market here. This market is a lot smaller, more laid back and relaxed than the other markets. 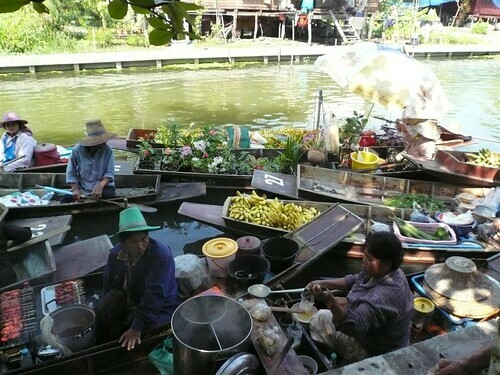 There aren’t as many sellers, and there isn’t as much choice as in the big floating market. But if you want an “untouristy” experience, then Bangnokkwaek is a good choice.